Press Release (ePRNews.com) - LONDON - Jun 19, 2018 - Aviation is one of the most popular modes of transport, whether it be passenger or freight. In 2017 the aviation industry boasted a total market capitalization of USD 250 trillion dollars. Almost 4 billion passengers and 104,000 flights annually. A study held by Boeing, in their 2017 Boeing aviation market outlook, shows that the number of both passenger and freighter fleet is set to double by the year 2037. 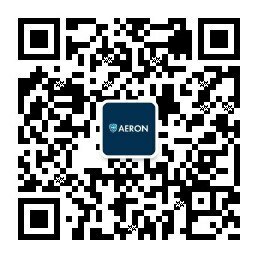 Aeron is an innovative blockchain-based platform that is set to improve aviation safety. Utilizing blockchain technology, Aeron tackles some of the most common industry problems in pilot training and flight school management, such as flight log forgery, aircraft flight hours underreporting, stopping any sort of modification or distortion of logged data and replacing an outdated system with new technologies and sophisticated tools. This innovative system will significantly reduce the risk of fatal accidents while leaving all data transparent and easily traceable. Aeron has had a successful journey so far, hitting milestone after milestone. The team recently announced the successful completion of the Pilot mobile application launch to Google Play and Apple App Store, along with Aerotrips.com aviation marketplace back end being integrated onto the blockchain. The Aeron application, once fully deployed, will flag any discrepancies between the Aeron data sources: a pilot, an aircraft operator, and Air Traffic Control (ATC) data where available; the app will further enable aviation authorities to detect any issues that may have risen. The application will also keep an up-to-date record for pilots licenses, flagging expired licenses or pending renewals. Aerotrips is an all-encompassing web portal and marketplace for aviation services, playing host to thousands of flight schools located worldwide. Aerotrips.com features curated offers for Flight Charters, Aircraft Rentals, Flight Courses, Air Taxi and other such services in general/private aviation domain. Aerotrips.com has everything an aviation enthusiast would look for on the web. Aeron is the source of this content. Virtual currency is not legal tender, is not backed by the government, and accounts and value balances are not subject to consumer protections. Cryptocurrencies and tokens are extremely volatile. There is no guarantee of a stable value, or of any value at all.